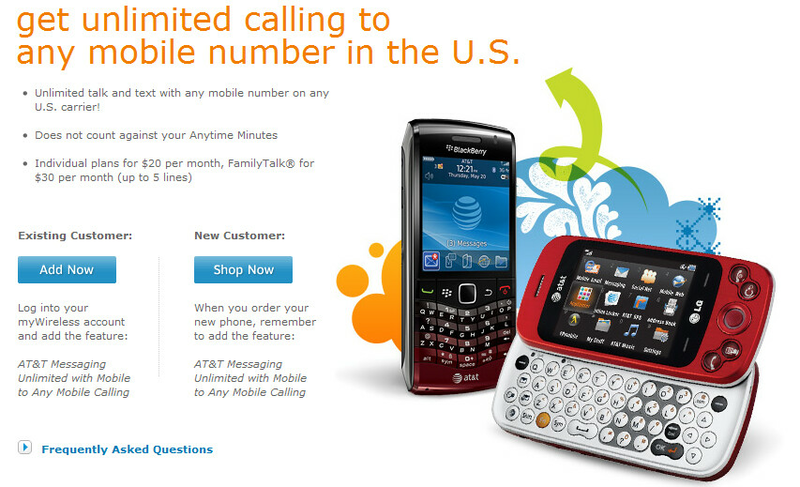 Starting today, AT&T customers on a qualifying Nation or Family Talk plan that sign up for unlimited messaging, will be able to make unlimited calls to any mobile number regardless of carrier. The new plan is called Mobile to Any Mobile and calls made under this plan do not count toward your Anytime Minutes. The unlimited messaging costs $20 for individuals and $30 for the family plan. But think about all of those minutes you will be saving calling your pals who switched to Verizon's Apple iPhone 4. Existing AT&T customers with an unlimited messaging plan can activate their Mobile to Mobile service by heading over to www.att.com/anymobile. The carrier's Chief Marketing Officer, David Christopher, said, "Mobile to Any Mobile is an exciting offer that will keep our customers connected to the people they want to talk to, when they want to talk to them, without the hassle of watching minutes." Even though I dont like att I think this is a good offer and kind of wish verizon matches this. Way to show you're scared AT&T. Had they done this at any point last year, it would have come off as them trying to make their plans even more worth it. But coming out with this right before the launch of the iPhone 4 on Verizon in addition to this rumor about unlimited plans...doesn't give off the best confidence. But hey, I'll take it! I don't see why they would. The big incentive for being a VZW customer is their touted network and the introdction of the iPhone. They don't need this to be successful. "Any Mobile Any Time' is the way to go these days since not very many people call land lines. I believe Sprint was the first to introduce this feature and was the best move on calling plans. I think $20/$30 is a bit steep for individual/family for the ATT version of this feature, but ATT has always been known for their HIGH calling plans prices. The 20 or 30 is for unlimited messaging not the mobile to any mobile, although the unlimited messaging feature is required to be able to be able to have the any mobile feature. Its a free service being added to select calling plans. You can't complain about that. Although deep down I think At&t is terrified of the number of i-phone customers they are going to lose to Verizon and this is a good way to keep some people from switching. Oh ya, and to Verizon you've been saying for years your network can handle the i-phone, and now its time to put up or shut up. If and again I say " IF " Verizon's network can handle the i-phone mark my words At&t is going to lose a lot more customers than anyone predicted. 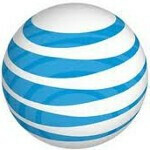 If their network fails like At&t than Verizon better start any mobile calling sooner rather than later. VZW has been working to prepare for the Iphone for YEARS... The iphone project has been TOP Secret in all levels of VZW upper management and Apples since the second version of it. VZW wanted to wait for deployment of 4G so the 3G network won't have high traffic also unlike AT&T, VZW knows how to put money into there Network and plan ahead. AT&T lacks that. So far with Customers that already have the VZW Iphone they are not dropping calls !!! First off phonearena is late. I said this in a thread yesterday. Also please not another AT&T is gonna lose X amount of customers discussion. Get over it, AT&T isn't going anywhere and neither is Verizon. BTW I switched to this plan and I now have 700 anytime minutes, free mobile calling, unlimited n/w minutes and still have 12,000 rollover minutes. Yeah i'm good. Great plan. If you already have the unlimited messaging $30 family plan or the $20 unlimited messaging individual plan, you don't have to pay anything else, is FREE benefit added. That's a good offer in any company, is amazing the way some people will complain about anything, good or bad. People(Verizon fanboys) just want to see AT&T do bad but it's not going to happen. Both companies offer good service and both companies are overpriced but anyone who says this isn't a good deal is just in denial. You still have to go into your account and select the new plan, but yes same price. Props to AT&T for this offer. Everyone else has already mentioned its good points. The only possible bad point is if you don't text much and have the grandfathered $5 or $15 or even the new $10 plan you'd have to go with unlimited to take advantage of this. Good move nonetheless. GREAT NEWS! I just found out from my rep just about an hour ago. This will save me a good amount of money per month since I don't need as many minutes anymore. If you don't have a smartphone, you can get unlimited mobile to any mobile calling, unlimited texts, with 450 landline minutes for just $59.99/month! wow....that's great.....not at&t has alot of little crap with them and their incentives so they want you to have to fork over more money a month for unlimited messaging just to take atvantage of free mobile to mobile calling on any carrier ok at&t instead of you guys focusing on that they should be taking a page out of verizon t mobile & Sprint and start back offering unlimited data plans again they need to invest more dollars into more cell sites and overall a bigger network that can support heavy data usage otherwise people like my self is just going to end up going somewhere else where i can pay the same amount a month & get everything unlimited get it together at&t!!! I contact AT&T yesterday & the rep said nothing would change on my acct, just the new title for the Mobile to any Mobile service, because I have the $30.00 unlimited family plan now. So today I went to add it to my acct & the rep told me I wouldn't qualify unless I change the current rate plan that I have. That means me getting the plan of 1400 Rollover minutes. My family & I have a hard time using our current anytime and rollover minutes now. Since AT&T is offering new Unlimited features can they give customers what they want and bring back the unlimited data plan before everyone turns to Verizon.